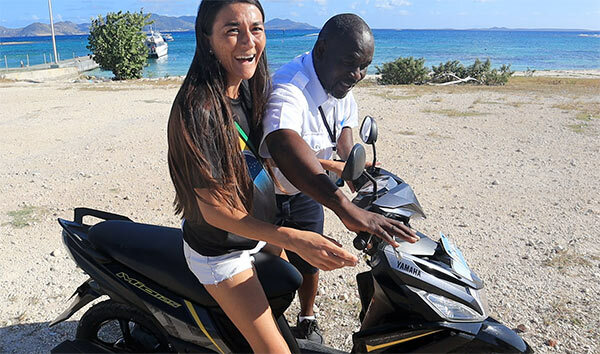 With one of the sunniest climates in the world, scooters make for a perfect mode of transporation in Anguilla. Now available on-island with speedy and stylish models, it is all thanks to one man, Mr. Desmond Mussington. 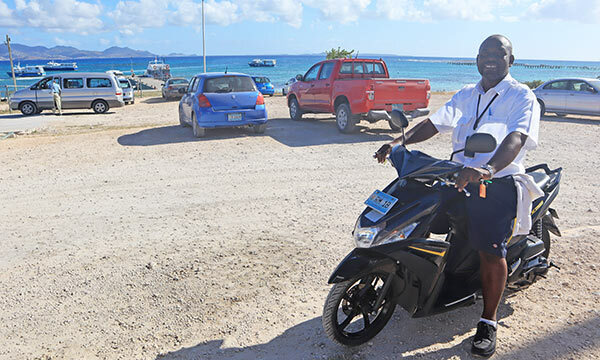 If you have have taken Anguilla's public ferry, you may recognize Desmond Mussington. He is friendly and familiar face on the ferry, going back and forth between St. Martin daily. 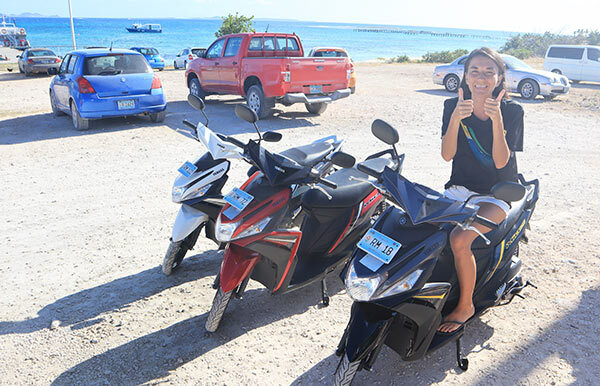 In addition to his full-time job, he operates the popular car rental and scooter rental business, D&D! The sweetest of guys, you are in caring hands with Desmond Mussington. D&D carries a number of quality car rentals and scooters. 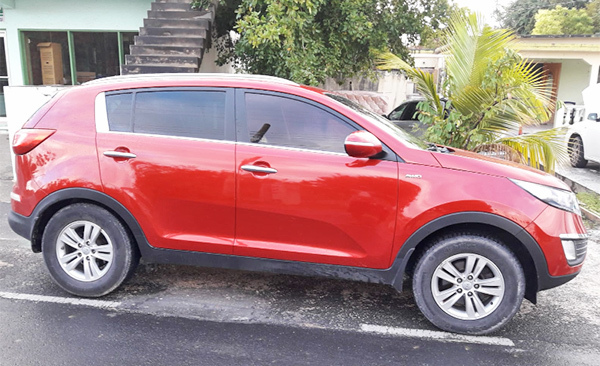 Their car rentals include the Suzuki Swift, Toyota Corolla, Nissan March, Nissan Note, Suzuki Vitra and the Honda Odyssey. His scooter rentals are exceptionally eye-catching. Yamaha models, Desmond's scooters carry speed! They come in sleek black, fire engine red and ice-cold white. 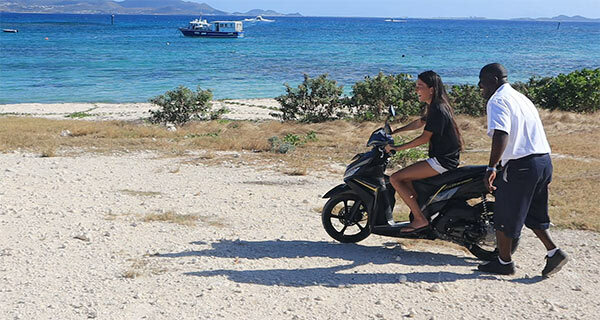 In addition to the Yamaha's, Desmond has chic and stylish mopeds coming soon. How Do Scooter Rentals Work? Book your scooter rental via WhatsApp and Desmond and his friendly staff, Kay, Susan and Lornie will get you set up with your scooter of choice. 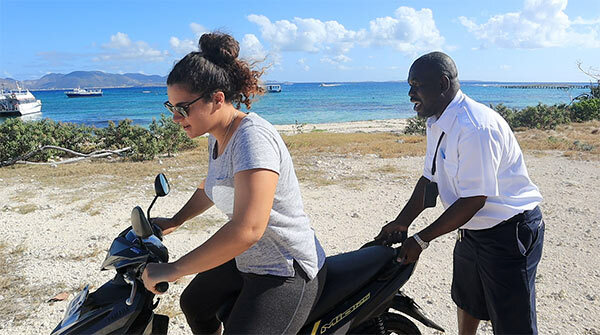 A driver's license is required to rent scooters in Anguilla. 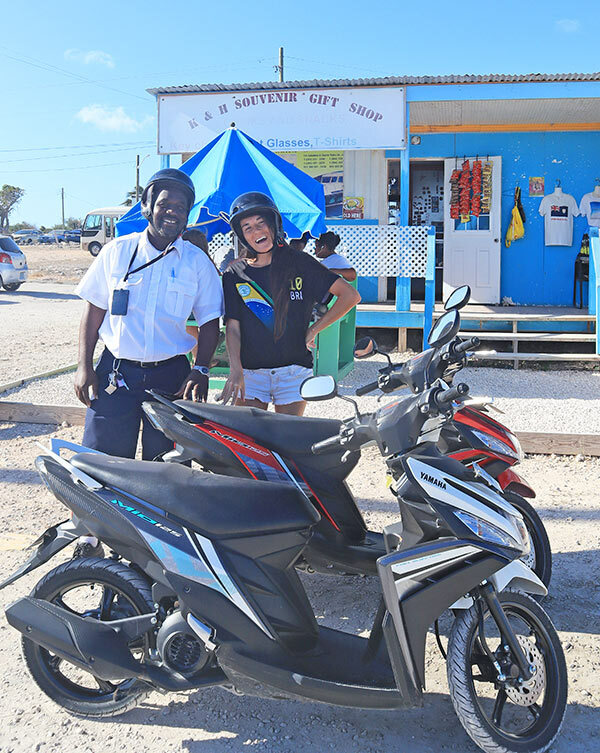 Show your license and the D&D team will issue a temporary license that permits you to ride scooters in Anguilla. NOTE: The cost of the license is separate from the cost of the scooter rental. 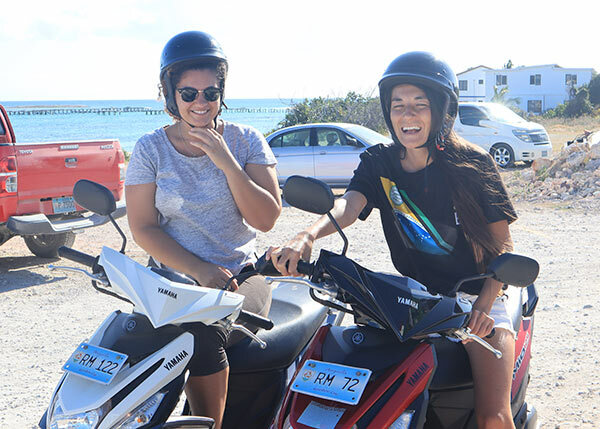 D&D's rates for scooter rentals are $25/day or $30/day with insurance. Once light logistics are taken care of? You are ready to hid the road! If you are brand new to the world of scooters, Desmond will give you a tutorial. A "first" for me and Louise, Desmond showed us the in's and out's to his scooter rentals. "From there? It's all about balance," Desmond explained. I must admit, Louise and I were pretty jumpy, never having driven scooters before. Desmond started us off with scooter "training wheels." He held the back of our scooters steady as we found our footing and our balance. It was all laughs as Desmond showed us how to slowly apply the gas, break (with both breaks!) and ease into our turns. He is one patient man! Once you find your groove? Desmond outfits with you with helmets for the road. Then? 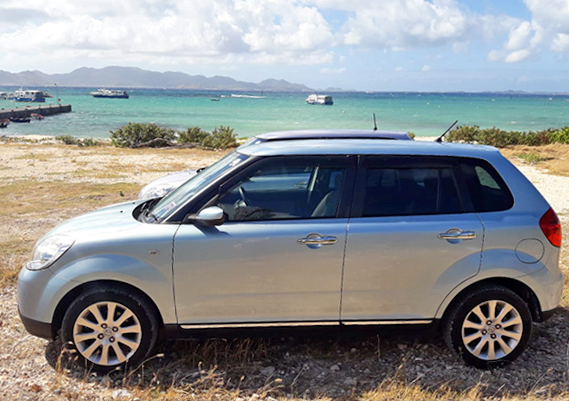 It's all Anguilla exploring! 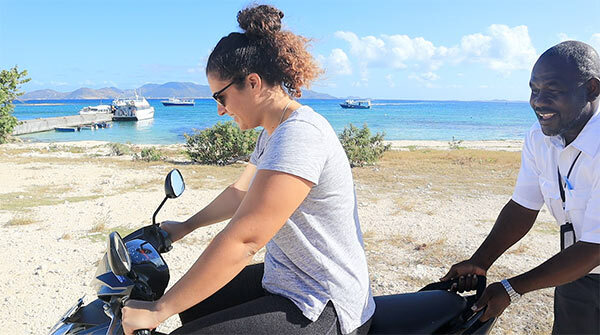 With one of the sunniest climates in the world, scooters make for a fun and adventurous way to enjoy the beauty of Anguilla with a sense of total freedom. To book your scooter with Desmond, WhatsApp D&D via the numbers below or send the team an email.